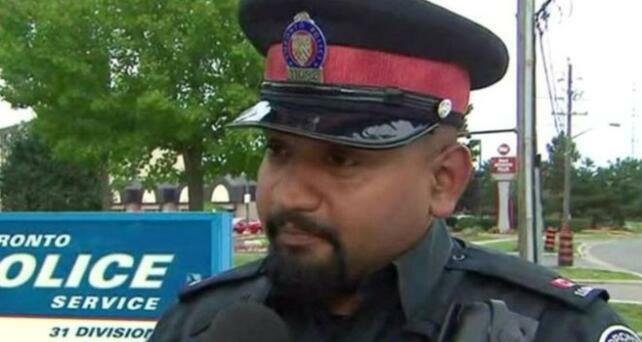 Constable Niran Jeyanesan told CP24 that Walmart staff apprehended an 18-year-old for attempting to steal a dress shirt, tie and socks. He said when he arrived at the scene he realised the offender had been stealing the items for a job interview. He then decided to release him and purchase the items for him. "This young person has been facing his own difficulties in life and he was looking to straighten out all that by providing for his family and trying to get a job," Mr Jeyanesan said. "This individual didn't have any resources. "He wanted to go get that job. That was in his mind. I think he truly made a mistake." Speaking to the BBC, his staff sergeant Paul Bois praised Mr Jeyanesan's actions. "Arresting him wouldn't have been in the best interests of anyone," he said. "I reacted very positively to the news; all issues were resolved by the action the officer took. "It reiterates our goal of being positive role models in the community."